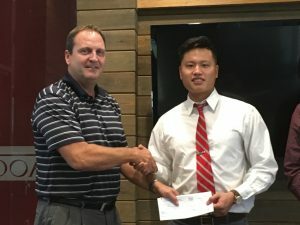 Jeremey Ng spent his summer as an intern for MacArthur Associated Consultants. He is a senior at the University of Oklahoma and plans to graduate in the Spring with a BS in Civil Engineering. He had a chance to work on site at a concrete paving project at Will Rogers World Airport this summer where he witnessed first hand the importance given to material testing and sampling that he had learned while in school. He also spent time working with a design squad and was introduced to WinPas and PCase pavement design software. Will Little is a Construction Management student at Oklahoma State University who spent the summer working as an intern for Allen Contracting. 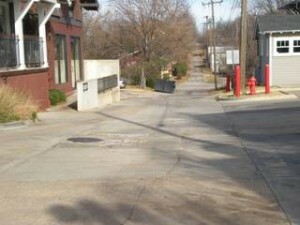 Will was able to gain broad concrete paving experience including spending time working on the construction of a concrete pavement on Western Avenue in the City of Stillwater. He will be returning to OSU this Fall as a Junior. Congratulations to both our 2016 Scholarship winners! Construction on SH 51 in Blaine County began earlier this week. 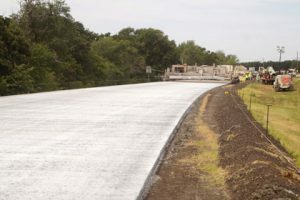 The new section will consist of a 5″ thick bonded concrete overlay placed on the newly milled surface of the existing HMA pavement. The contractor, Duit Construction, placed about 20oo’ before deciding to stop paving due to high temperatures. The contractor is planning on switching to night paving to avoid further temperature limitations and reduce inconvenience to the traveling public.